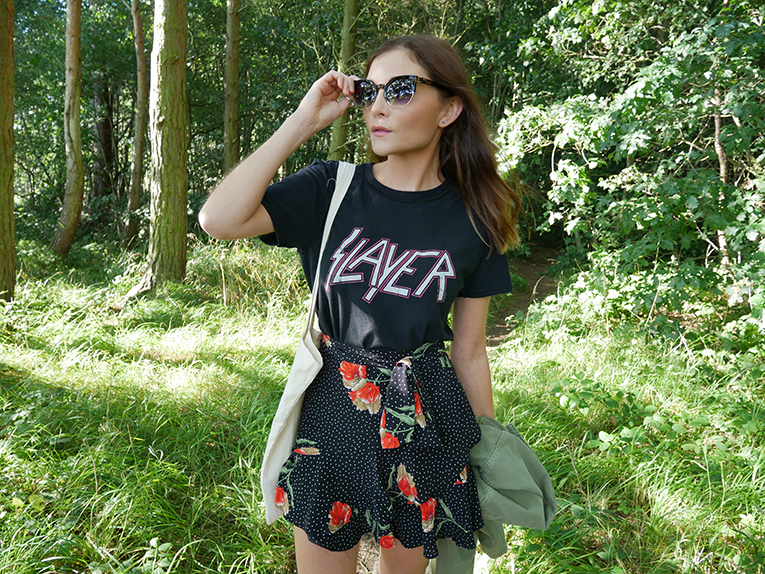 So this is the third festival fashion look I decided on as, obviously, this skirt had to be incorporated somewhere seeing as I bloody love it. It's so flattering and cute with the bows and the frills and the floral and the polka dots – and mixes multiple trends in one, so what's not to love fashion addicts? I bought mine in a petite size 4 and I'm usually a size 6, sometimes 8 so, if I have convinced you that this is a must-buy, beware that the sizing is big! 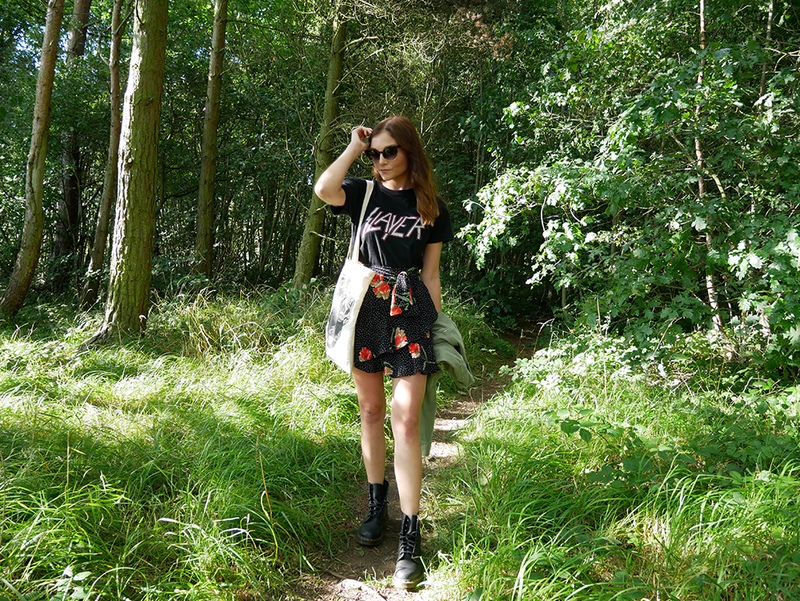 I styled it with a band tee because I absolutely love that mix of girly and grunge at the moment. 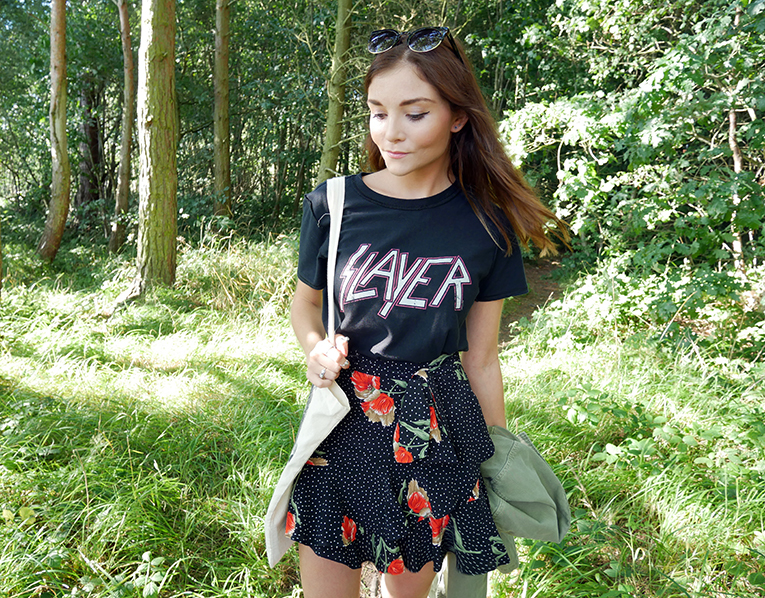 As mentioned in this post, where I styled a floral dress over the same Slayer tee. And when it came to footwear I opted for Docs with this to amp up the grunge factor even more (and because they're super comfy and festival appropriate). I'd definitely recommend them as an alternative to wellies. 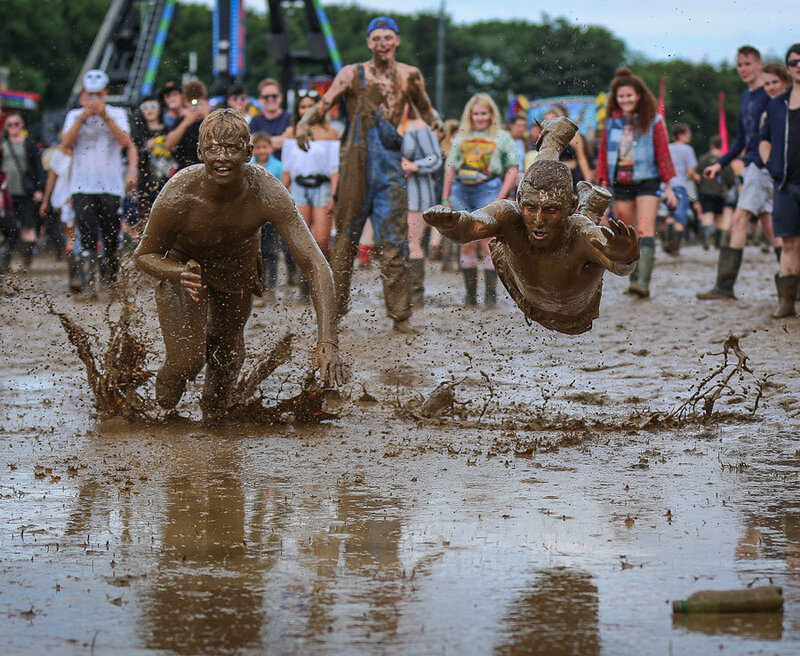 As long as it isn't as muddy as last year's UK festivals i.e. this. 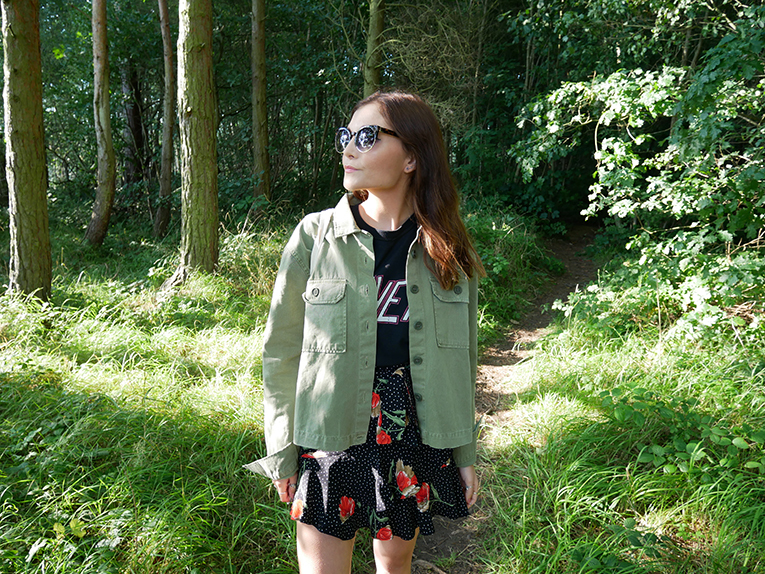 Finally, I chucked on a utility jacket because it's both lightweight and works as a camouflage – perfect for chilling on the grass and avoiding those festival pals you didn't really want. Also can I give a shout out to the trusty tote bag which fits everything in and is minimal effort to transport. It's excellent if you wanna be a girly loser with a camera, lipstick, purse, bottle of *perhaps* water etc. 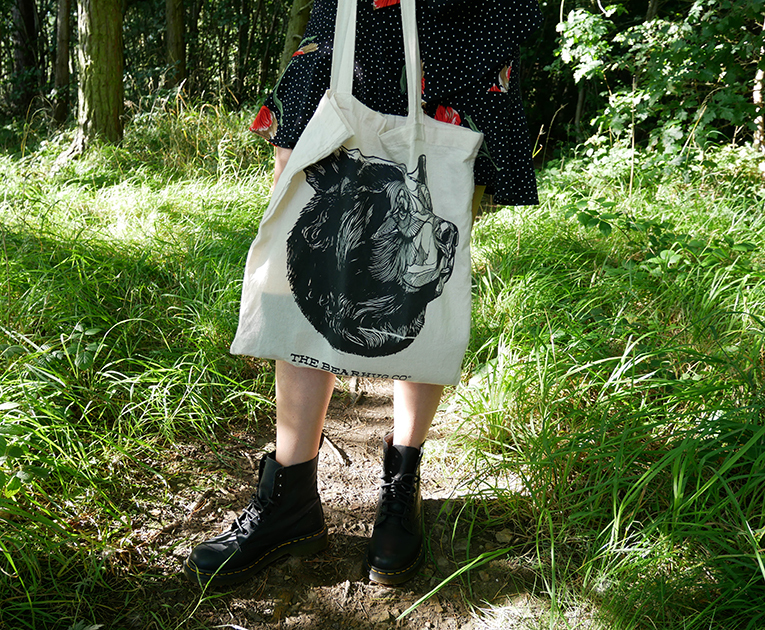 10/10 to the tote. I hope you enjoyed my festival looks! Let me know which was your fave. See the other two here and here.